Hi guys! This Tuesday is going to be Pancake Day, also known as Shrove Tuesday (the day preceding Ash Wednesday, the first day of Lent) which is widely celebrated by consuming pancakes. There are many different recipes for these sweet cakes: in the USA the batter is leavened whereas in the UK it is not and the British pancake resembles a lot French crepes, whose recipe I’m sharing with you today along with its savory variation. 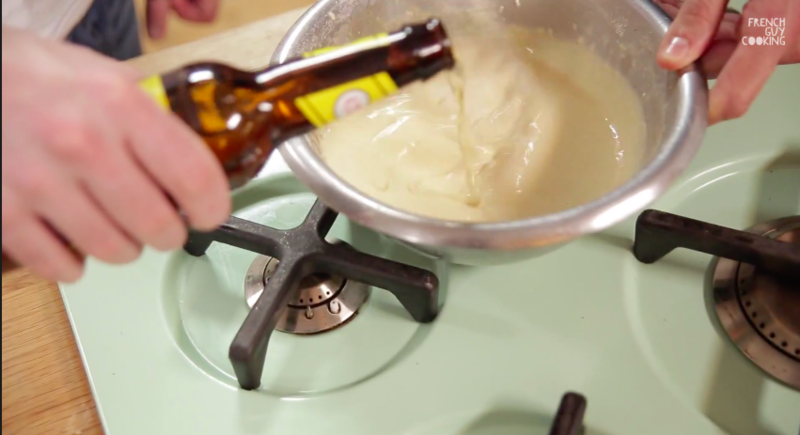 In doing so I’ve been helped by my friend Johnny Garret from The Craft Beer Channel who divinely spiked my batter with a delicious beer. If you prefer an alcool free version just omit the beer and increase the quantity of milk. 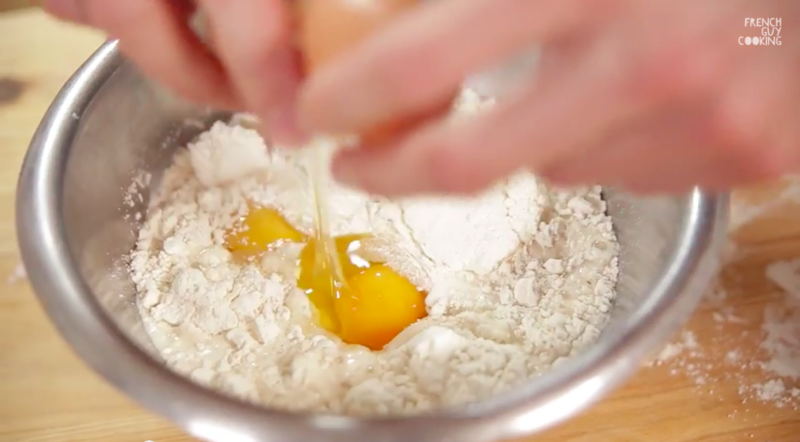 In a bowl whisk together the flour, the millk, the eggs, salt and sugar. In a pan melt three tablespoon of butter and let it caramelize until it goes a nice shade of nutty brown and the frying sound stops. Be careful because after this stage it burns quickly. 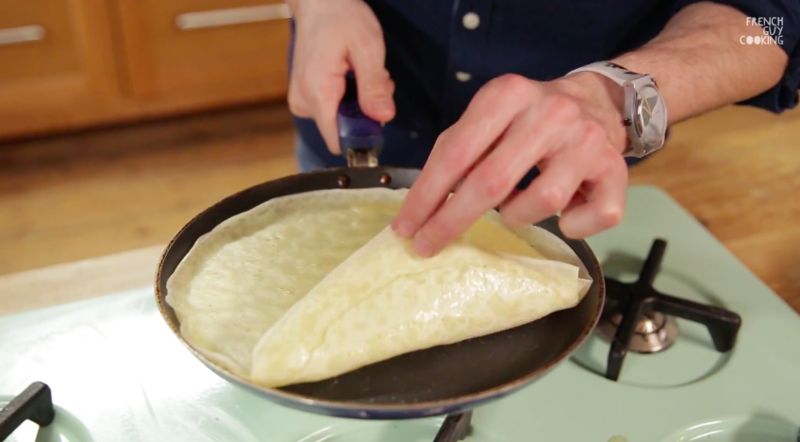 Pour it into the crepe batter and whisk quickly to incorporate it. 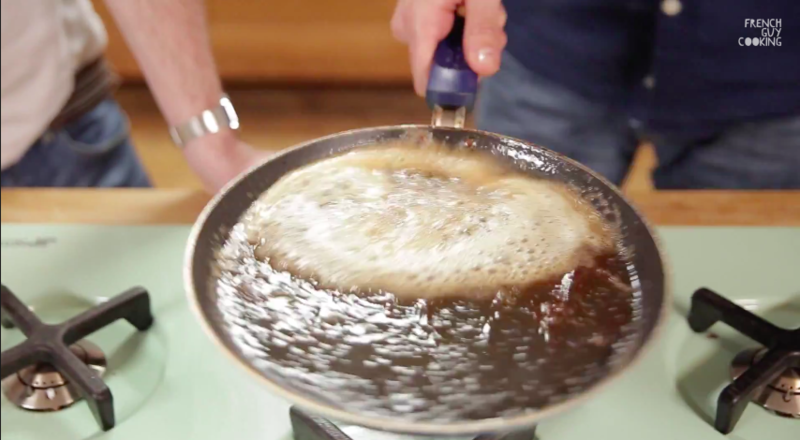 If the batter is a bit too thick, let it down with a bit of beer (less than half a cup) or milk and whisk again. Let the batter rest a couple of hours if you can. Melt some butter in your pan on medium-high heat, pour one ladleful of batter and spread it completely on the surface of the skillet. 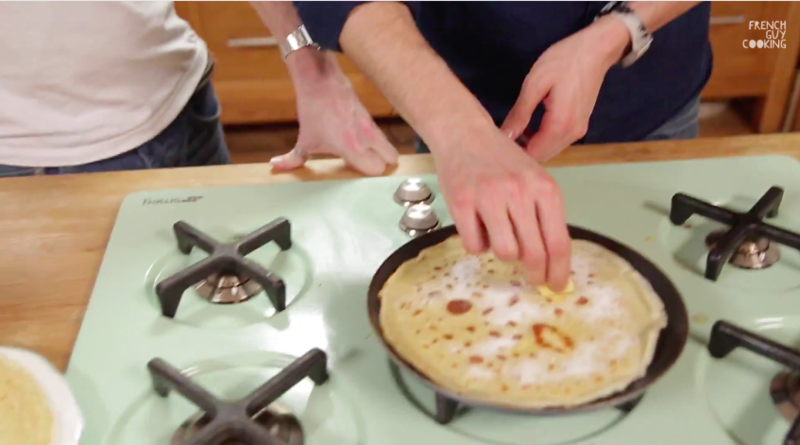 After a minute you should be able to loose the crepe from the edges by shaking the pan. 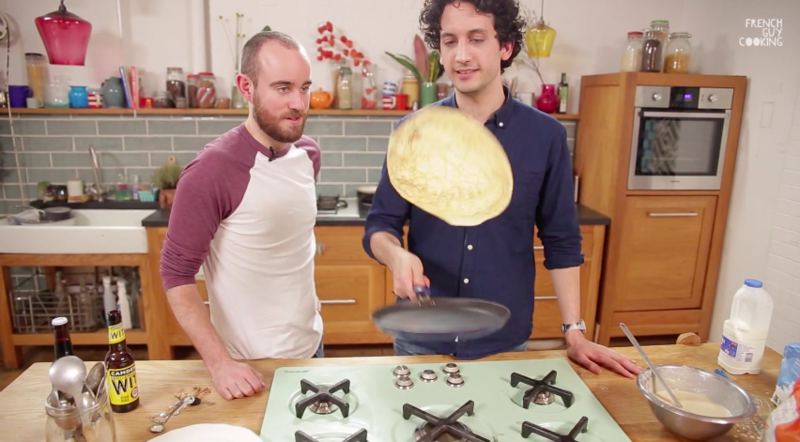 If you feel confident flip it in the air or help yourself with a spatula or a knife. Let it cook another scant minute and then it’s ready. Pile the crepes one upon the other while you finish cooking your batch, then stuff them with whatever you want, there are endless possibilities here: nutella, jam, fruits and cream, flambée with Grand Marnier… I like to keep it simple with just a brushing of melted butter and a tablespoon or two of sugar. Delicious, especially when piping hot. Great crepes! 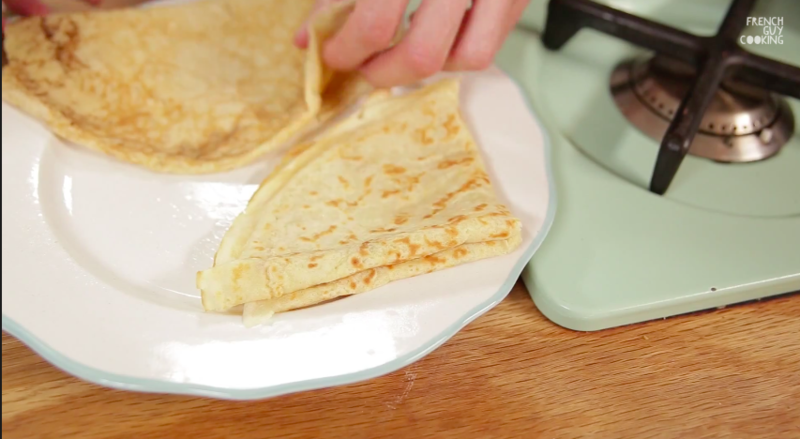 Been making crepes for years must say your recipe is very good!